Psalm 37:7a - Rest in the LORD and wait patiently for Him. • Sing "Twinkle, Twinkle Little Star"
To demonstrate the number 100 - pour out a pile of beans, coins, or chocolate chips. Count out ten groups of ten. When all of the groups are created, count each group by tens to 100. To make the activity more personal, have the child count out an additional four beans (or the amount of beans for the child's age). On a piece of paper, have the child write his name and the number of beans to represent his age. 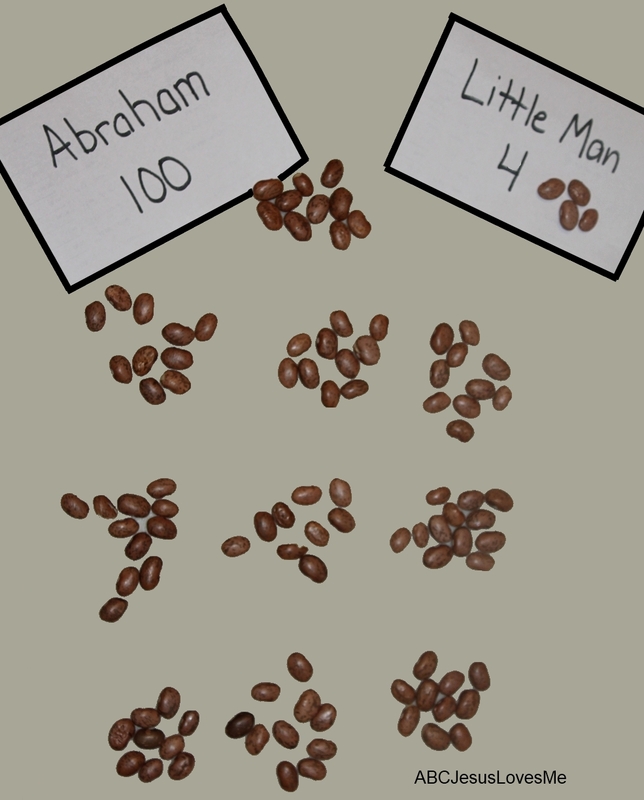 Then write "Abraham 100" to represent the 100 beans. 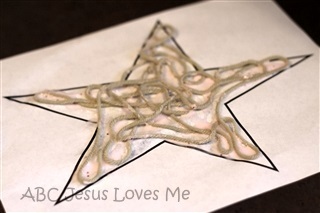 - Create Abraham's Star - Cut out the stars on cardstock paper and decorate. Cut on the dotted lines. Slide the cut portion of one star over the cut portion of the other to make a 3D Star. Add a string to hang. 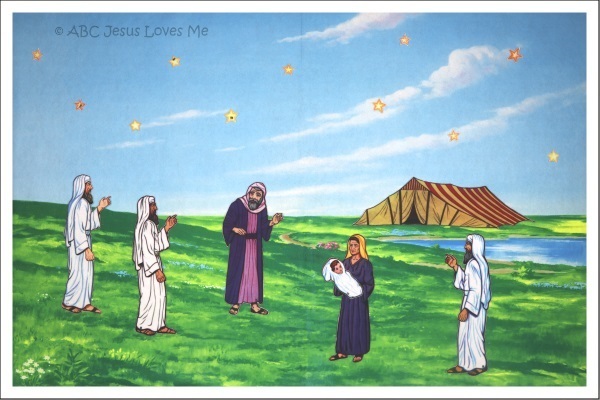 Discuss that stars reminded Abraham to be patient and wait on God to fulfill His promises. - 100 Inch Yarn Star - Have your child help you measure and cut a 100" piece of yarn (yellow preferably). As you measure talk about Abraham's age when Isaac was born. Compare your child's height to the 100" piece of yarn. 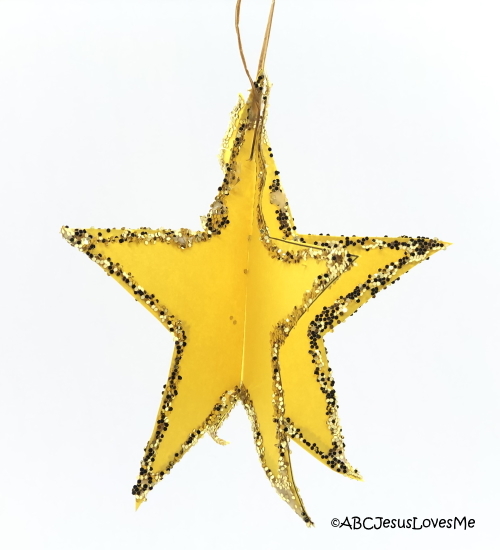 Using the Star Template, spread glue over the star. Wind the 100" piece of yarn over the star. Add the title "I will wait on God."